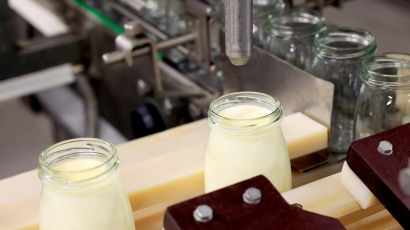 One of the largest applications for specialty elastomers and plastics is in Food Processing and Beverage Equipment. These seals are required to resist the chemical and thermal environments present in the equipment, while not releasing any unwanted or unknown contaminants into the process. Many applications require the sealing materials to be 'capable of being cleaned and receiving effective bactericidal treatment while still maintaining physical properties'. For the Food & Beverage market, we manufacture custom rubber seals, o-rings, bellows, mouldings and many more. At ERIKS, we use 3D-print technology to come up to the demands of our customers. Where required, a specific (non-standard) size can be made so that the product can be tested. A 3D-printed “fit & feel” rubber sample can be printed within hours. Regulating agencies and documents for applications in the Food and Beverage industry include the Code of Federal Regulations (CFR), Title 21, Chapter 1, Subchapter B, part 177, Subpart C, Paragraph 2600 - also known as FDA 177.2600. Separate categories for expected food contact include I -foods, including edible oils, butter, milk and cooking oil; and II - water, soft drinks, alcoholic beverages, etc. The US Department of Agriculture (USDA) has standards for meat and poultry as well as the '3A' standards for dairy equipment and the 'E-3A' standards for egg processing equipment. Moreover compounds following BGA, Bfr (BGVV), E4 and USDA are available. If you have any questions about our rubber compounds for the food and beverage market, please contact one of our locations or fill in the contact form.